The gear includes Gibson L5, Fender Stratocaster, Gibson Lucille and a Greenfield G4.2. The music is jazz, rock, blues, folk, classical and a few blends. The final ingredient to this party is a guest list that includes George Benson, Robert Cray, Vince Gill, B.B. King, Steve Lukather and many others. The host is “Captain Fingers,” Lee Ritenour. 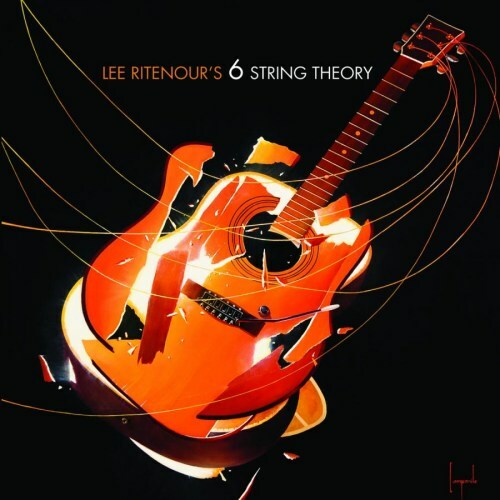 On Concord records is Lee Ritenour’s 6 String Theory, a collection of 15 songs that celebrate the world’s most popular instrument: the guitar. Produced by Ritenour with John Burk, the set is performed by an all-star cast of renowned guitarists and future stars. “Am I Wrong” features Keb’ Mo’ and Taj Mahal. Aided by Harvey Mason on drums, Nathan East on bass and Larry Goldings on Rhodes and Clavinet, the duo share guitar leads and vocals. Mahal also plays harmonica. 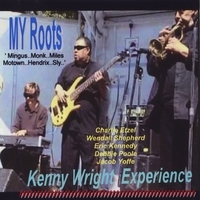 Bass player Kenny Wright is since a long time an in-demand musician in the music business. His solo albums are Fresh Focus (1993), Comin’ at Ya (1995), Bottle of Wine (1998), Herbie, Miles and me (2006) and My Roots (2010). He has performed with such legends as Stevie Wonder, The Whispers, Michael White, The Temptation’s Review, Supremes, Bobbi Humphey and others. Kenny and his backup band, Fresh Groove, have been busy opening for such acts as Gladys Knight, Kim Waters, Walter Beasley, and others. Here you have the seldom opportunity to meet a truthful musician, who stands by his restricted opportunities and still releases his music against all odds. Kenny recorded his new album with fellow musicians like Charlie Etzel (keyboards), Wendall Shepherd (trumpet), Maynard Parker (guitar), Eric Kennedy (drums), Debbie Poole (vocals), Robert Rucks (strings), Jacob Yoffe (sax), and Kevin Porter (guitar). Kenny plays on this album six string bass, guitar, percussion and programming. 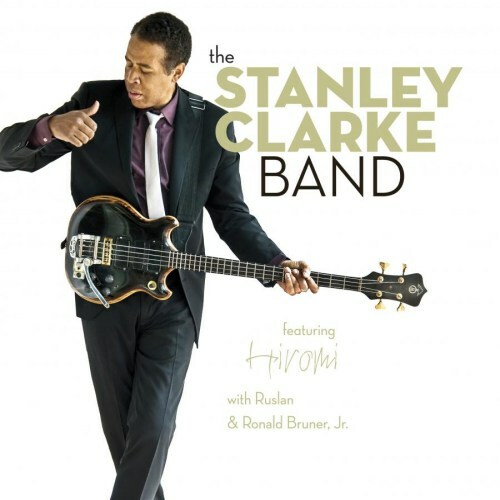 A new Stanley Clarke album is an event for me and his legions of fans. On this, his 3rd album for Heads Up International, he has surrounded himself with – and given great credit to – some of the world’s top young players in the jazz-rock arena. He’s also got drummer Lenny White in to share production duties. And what a joy: even from the first bar of Ruslan Sirota’s ‘Soldier’ you know it’s a Stanley Clarke album. That distinctive bass sound cuts like a knife and always has something to say! This song alternates between melancholy and rockin’ out and comes to us at an appropriate time when the leaders of the UK and USA are discussing how and when to end at least one senseless conflict. Of course, it continues the theme of his previous solo release ‘The Toys of Men’. ‘Fulani’ was penned by long-time Clarke collaborator Armand Sabal-Lecco and is a fascinating mix of groove and drama, pulled off in a way that Clarke has made his trademark. I also enjoy Clarke’s forays into ballad territory. I loved ‘What if I Forget the Champagne?’ from ‘East River Drive’ and I love ‘Here’s Why Tears Dry’ which showcases the searing guitar of Charles Altura, sounding like Jorge Strunz on Caldera’s ‘Sky Islands’ album. But funk is what I live for and in the updated version of an old song, ‘I Wanna Play for You Too’, I get plenty! Dirty, low bass with voice box and a chugging groove that doesn’t stop! ‘Bass Folk Song # 10’ is a funky solo piece from a series that began on an earlier album, sandwiched between a very blue, minor-key intro and fade. Which of Stanley Clarke’s fans doesn’t know the blissful ‘No Mystery’ from his RTF days? This time the staccato piano figure is provided by Hiromi, who really makes this song her own with a beautiful solo amid the rocky flavour that the song has in this version. The band rock it up, funk it up and even skank it up but it remains the Chick Corea masterpiece we know and love. Live, this must be knockout! The acclaimed Unwrapped series continues its legacy with its collection of “Unwrapped Flips” and returns in 2010 on the heels of last year’s #1 Jazz release, Volume 6 produced by celebrated Drummer extraordinaire Tony Royster Jr. The series looks to break the million mark in sales with this release which also celebrates the label’s 10 year anniversary! 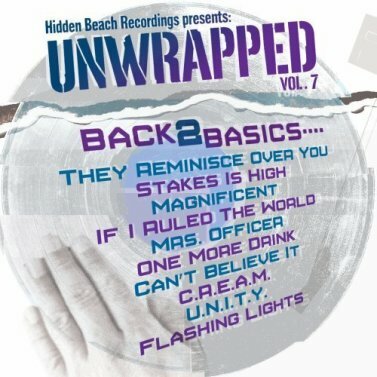 Hidden Beach Recordings released Unwrapped Volume 1 in 2001 and stemmed from what was originally intended as a jam session between seasoned musicians for their own amusement. The album was billed as an exciting project that took conventional thinking and turned it upside down. It involved some of today’s most accomplished instrumental soloists who flipped the process followed by Hip Hop producers and returned the flavor into the bargain by offering infectious renditions of such rap standards like LL Cool J’s “Loungin'”, Biggie’s “One More Chance”, Common’s “The Light”, and OutKast’s “Ms. Jackson”, among many others. However, it was not only the selection of the tracks that made this album a standout. The sheer quality of the artists involved was breathtaking with such jazz and R&B luminaries as Patrice Rushen, Paul Jackson Jr, Everett Harp and Mike Phillips all taking part. The initial thinking at Hidden Beach was to keep this material in-house for use as fun music at various Hidden Beach events. However, once some DJ heard what was being produced they demanded vinyl copies and as a result of this development, turned their music loving faithfuls on to the Unwrapped concept which has been unmatched by anyone who has tried to duplicate its concept. Volume 7 is poised to be one of the most impressive showings in collaboration with acclaimed producer and songwriter J.R. Hutson! He is a renaissance music maker, a versatile and professionally trained musician whose rich soundscapes thrill ears across genres. Hutson’s years of experience both in front of the mic and behind the studio soundboard make him one of the hottest commodities in contemporary pop today. With jazz in his heart, pop in his soul, and R&B on the brain, Hutson creates new school electricity sparked by a foundation of old school technique. 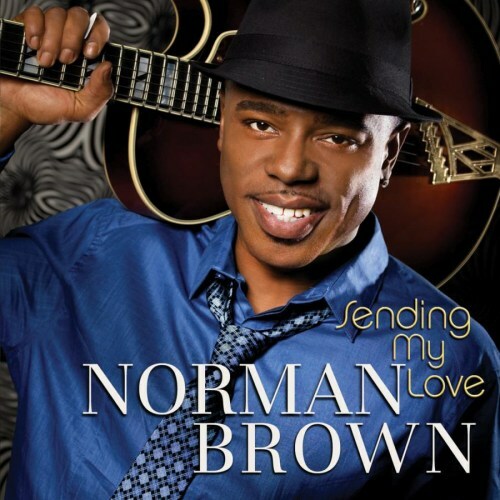 One can feel his vibrant energy, when Norman Brown fiercely performs onstage. Assembling a huge fan community he is one of the shining stars of this genre. All started with his debut Just Between Us (1992), followed by the albums After The Storm (1994), Better Days Ahead (1996), Celebration (2000), Just Chillin’ (2002), West Coast Coolin’ (2004), Stay With Me (2007) and Sending My Love, released June 22nd, 2010. So we discovered a little secret, Norman Brown has the same qualities as singer and guitarist George Benson. Especially the fans honored his humanity and accessibility, which might be not quite normal for a star of his caliber. Norman explains the title of his new album “I wanted to send a message to my fans: I am with you.” Norman got great support on this album by artists like Herman Jackson (keyboards), Emmery Williams (piano, programming), Alex Al (bass), Teddy Campbell (drums), Jubu (rhythm guitar) and Kevin Ricard (percussion). He has been a featured performer at a wide array of concerts, venues and churches in Southern California, Northern California, New Mexico and Arizona. He has produced three CD’s . Eric is inspired by diverse musical influences from classical to jazz to rock to new age that help define the diversity and passion in his music. Here are some of the talented people who were involved in the making of Waves of Grace: singer, guitarist, songwriter David Eugene Ivey, smooth jazz pianist/recording artist Cecil Ramirez, engineer/producer bassist/programming Ralph Stover, who has done projects for Word Records, Point of Grace and Maranatha Records, Brent Bourgeois of Bourgeois/Tagg who in recent years has worked with such artists as Michael W. Smith, Jars of Clay and Jaci Velasquez, contemporary recording artist and highly acclaimed smooth jazz guitarist Steve Laury, guitarist Mike Roe, the front man for the critically acclaimed band the 77s. 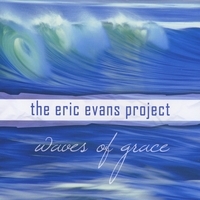 Waves of Grace is is available at CDBaby. Chicago artist Lisa McClowry definitely loves to sing. Still on high school she already founded her first band Mischief and performed on various gigs. Her debut album Spyglass Hill was released in 2001. Together with her friend Thomas Linsk she formed the successful band Tom & Lisa. With the group Joe Hurt Trio she shared another album in 2006. In 2005 she joined Jim Peterik (Eye Of The Tiger) on his concert. In 2006 she sung on his rock album Above The Storm. Her next collaboration with Jim was on the album Diary of a Chameleon (2007). The song Before the Tree Comes Down (2007) was her tribute to America’s war effort. Her first appearance in the smooth jazz genre was on Jim Peterik’s album Lifeforce (2008). 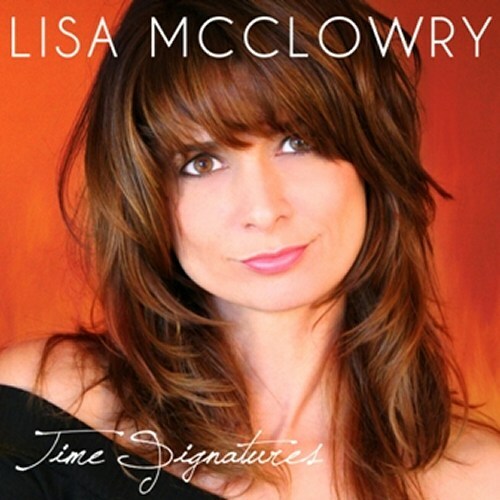 Now he gives the favor back with his strong support on Lisa’s new album Time Signatures (2010). He produced her new album, wrote or co-wrote with her all songs and performed guitars, keyboards, percussion and more on her album.